Kauai is OLD Hawaii. Charming. Rustic. Enchanting. A long time ago I read James Mitchner’s HAWAII. It was the only book of his that I read cover to cover and didn’t give up half way through. 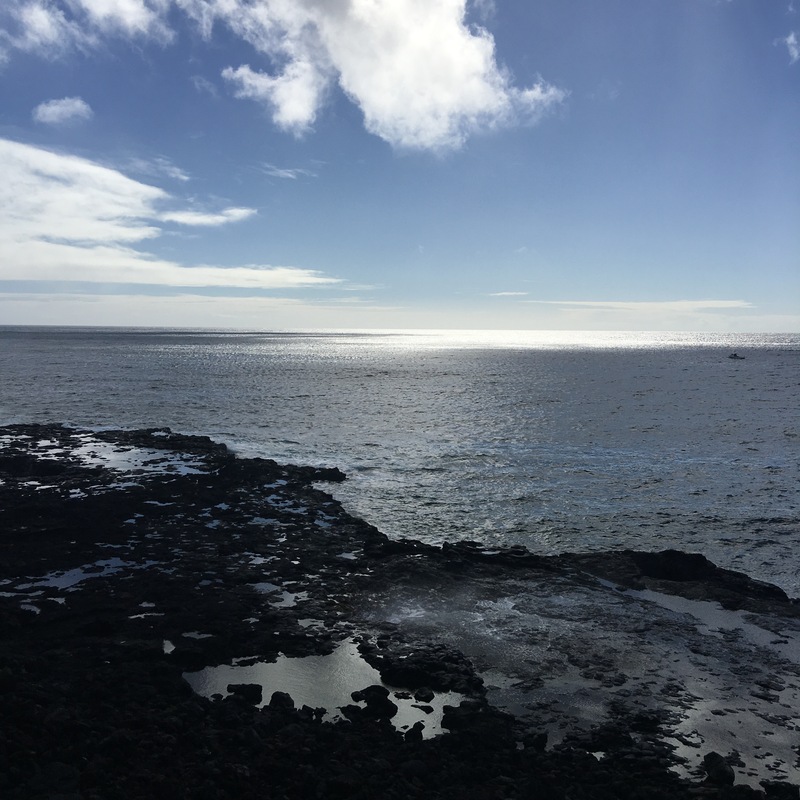 What kept my interest was the long descriptions of the lush and mysterious Hawaiian islands that rest thousands of miles away from the mainland of North America. I now have visited three of the island and it has become apparent that each of the Hawaiian islands have their own personalities. Oahu is the cosmopolitan island with nightlife and amenities that make you feel that you could be in Newport Beach, California. Maui is the up-scale island. Quieter than Oahu but certainly full of vibrancy and beauty. And then there is beloved Kauai, considered by many to be the heart of Hawaii. It is where the clock has been turned backkwards or has just stopped at a time that was simpler. Wild chickens are everywhere and don’t be surprised to see feeding goats climbing in state parks. There is “the ice-cream place” (Lapperts) and each vista is prettier than the one before. Outdoor living is a must with paddle boarders and surfers enjoying the sea from sun up to sun down. You relax because it is a place where the lights go out by nine on most establishments. Kauai has the “old” Hawaiian feel that I longed to discover from the days of reading Mitchner. It feels like home the first day. Kauai is for gentle hiking (And, some not so easy.) We trekked along many trails and saw everything from those chickens to wild boar. As a person who loves to photograph everything, I couldn’t get enough of Hawaii’s waterfalls, rock formations from volcanoes that no longer are active, caves and beaches. The sunsets are extraordinary and the people are some of the kindest I have met. I could write a long blog about Kauai and all of its’ splendor or simply upload a slideshow to share. Remember – I love photography, so slideshow it is! If you are enticed to travel to Hawaii, may I suggest Linda Kahn-Ferrell from the TravelStore in Malaga Cove, CA. She can help you by phone or email to get the perfect vacation experience. Connect with here here.